some details about the Maruti Suzuki Project YL1, a Vento sized sedan which might replace aging SX4 sedan. Will have 1.3 DDIS 90hp Diesel and 1.4 K series Petrol motors from Ertiga. 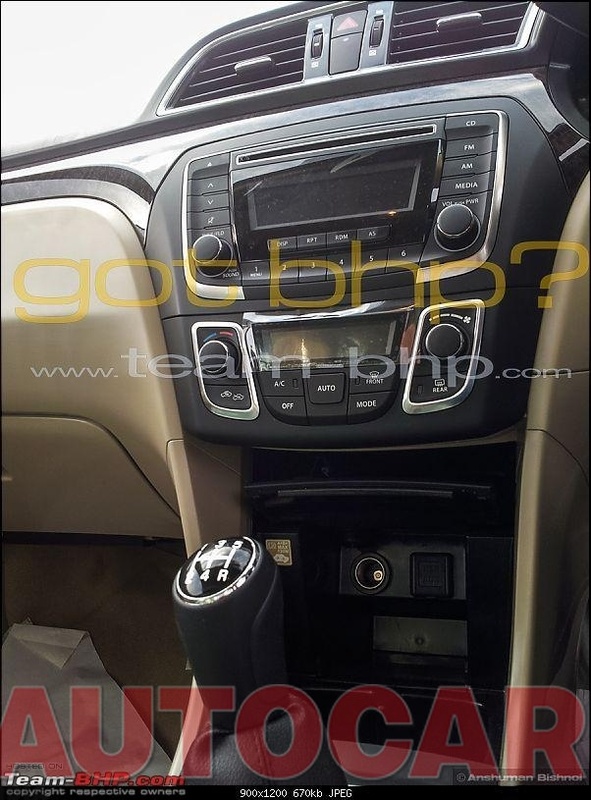 Seems to be based on the same platform as Ertiga. Design theme same as Authentics concept showcased earlier but detailing is different and simpler. Lots of space for the rear seat, possibly best in class. The car is as high as the Vento and about the same size. 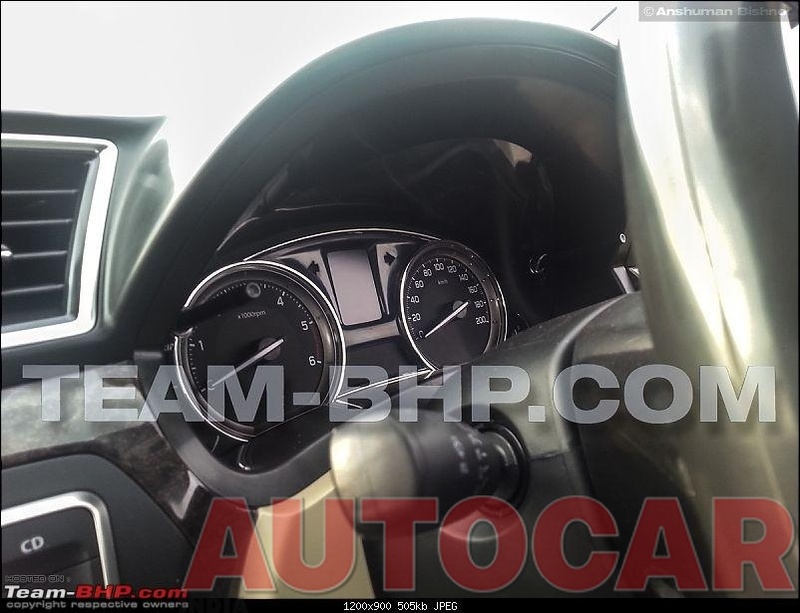 Choice of materials is premium, maybe material for dashboard is not finalised yet. 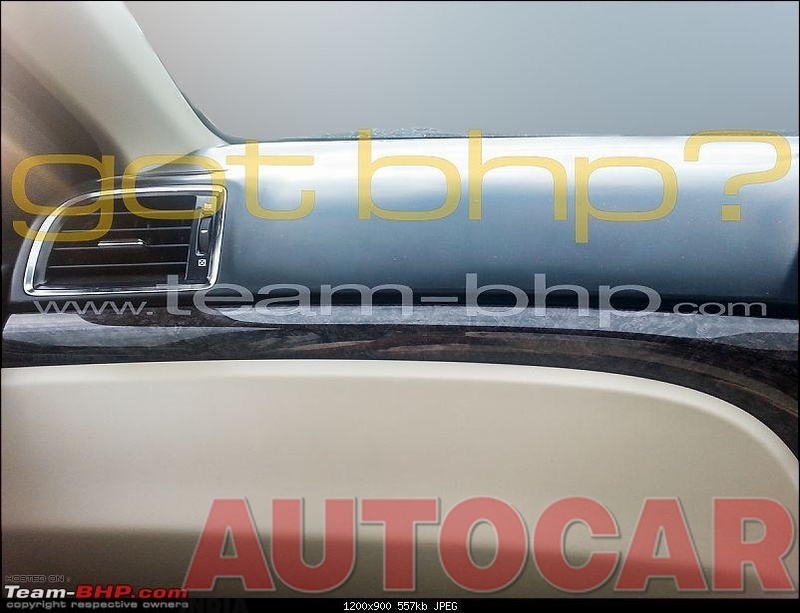 Current test car gets smooth glossy dashboard material over grainy textured material that is usually used. 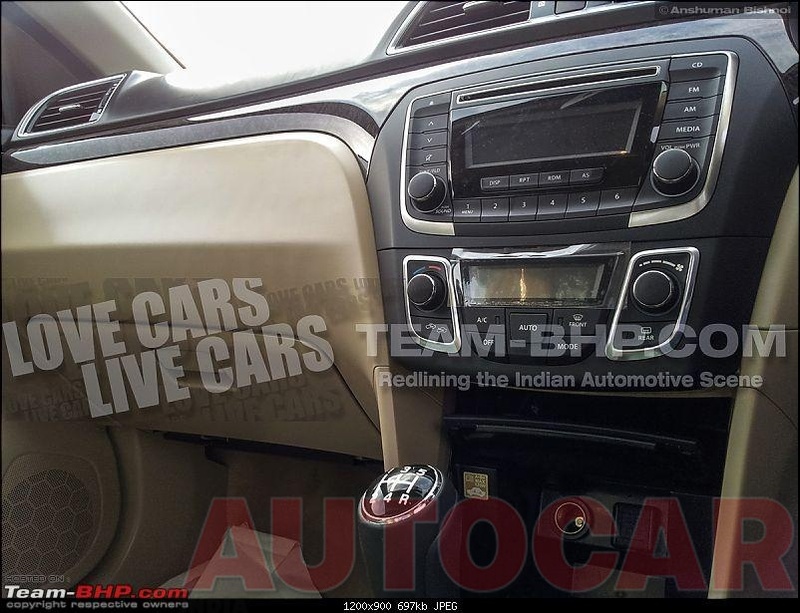 Design theme for Interiors is similar to Swift, Ertiga and Kizashi. Just like all other Maruti cars, majority of bits are shared. Top portion is Black, lower portion gets overdose of beige. Door and carpets are Beige. Floor hump is small. Door controls were exactly same as Swift. The curvy styling looks really good. There is push button start, possibly keyless function too. Puddle lamps will be offered. Rear seat gets 2 A/C vents in rear. The rear windshield looked similar to Superb. Meters gets bright glowing white rings, otherwise feel similar to other Maruti cars. The MID display is white. 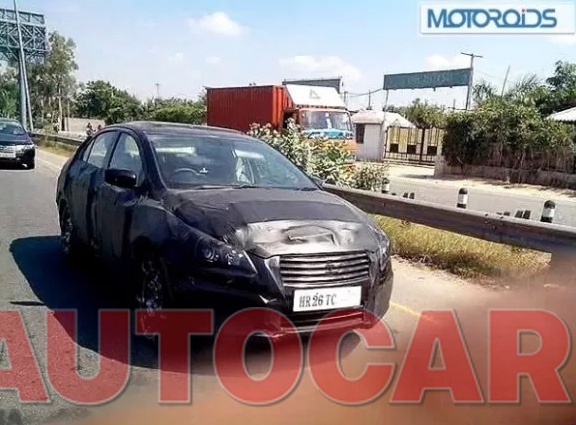 Front grille is exactly same as new facelifted SX4. Same steering wheel as Ertiga, but black in color. Audio controls look the same. 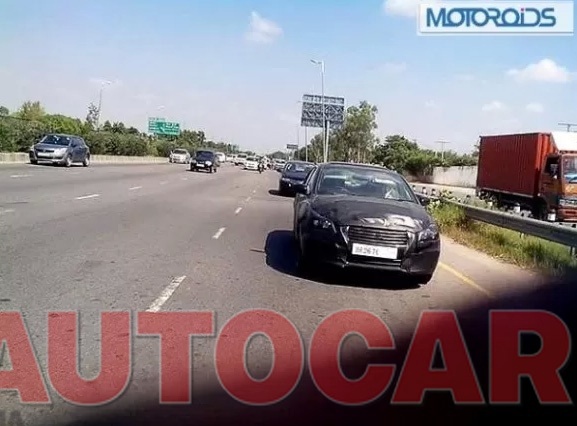 Headlamps look Mercedes inspired, similar to ones on new E-Classsome details about the Maruti Suzuki Project YL1, a Vento sized sedan which might replace aging SX4 sedan. Hmm, that's some serious work going on here in the Maruti's R&D shops. Maruti is trying hard to stay in the market and maintain their big share of sales. Maruti had a monopoly over the A and B segment markets but the new upcoming models from competitors have made the game for Maruti a whole lot difficult in their own home. 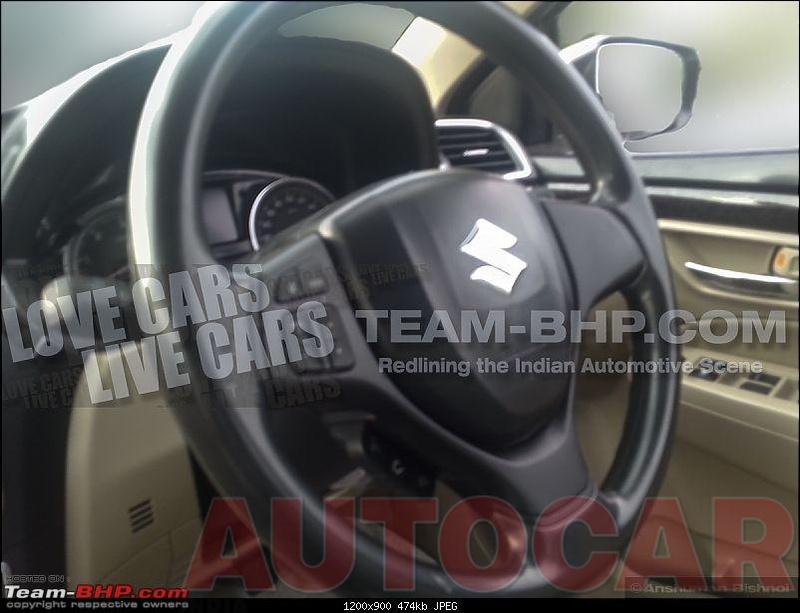 The SX4 replacement could be a game changer for Maruti b'coz of the new cars in the lot like Rapid, Vento, Verna Fluidic have in the game for a long time now spoiling the game for Maruti. But, the main thing is the 1.3 DDiS motor. Maruti should change it. Every car they make with a diesel engine it's the only that's going to fit in them. A new big engine would be welcome for the market making 100+ bhp's so as to stay in the competition. The bells and whistles that Maruti is going to fit in this car are not a new for the market thus won't create a much hype for the product. The car would definitely have to be priced aggressively. Let's keep the finger's crossed!! @sandy: this is interesting, could you please share the source as well? Yes, agree with Sstar. Some pics (if you have them) or any other source would be a huge welcome. 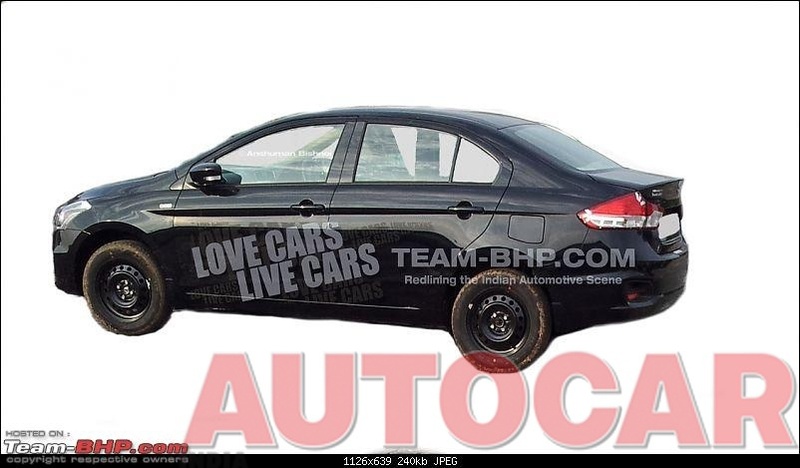 This will be Maruti's answer to the Hyundai Verna. Hope the suspension is not as soft and bouncy as the Hyundai. I am sure there will loads of common parts in the interior bits. I really liked the 1.4 petrol in the Ertiga. Lets see how it does in this new saloon. They should speed up the process of bringing compact SUV to India to continue their leadership in Indian market. A cross over of Swift to compete with Ecosport and a slightly bigger model to counter scorpio will make sense. Maruti Suzuki's presence in above Rs.6 lacs price band segment was marred by its image of small car maker but cars like Swift, New Dzire, Ertiga have altered the mindset of the customers plus the great customer satisfaction & service network-quality levels has turned into a highly desirable giant. 3-years ago Maruti Suzuki needed more than everything to justify a Rs.9 lacs car but now they needs Trendy-looking, quality product with Diesel engine & decent interiors package to sell & YL-1 is much more than these core elements. Their already highly anticipated cars include XA-alpha Compact SUV & this YL-1 sedan. SX4 , Kizashi and Grand vitara. Do you know what is common ? failure of steering rack. 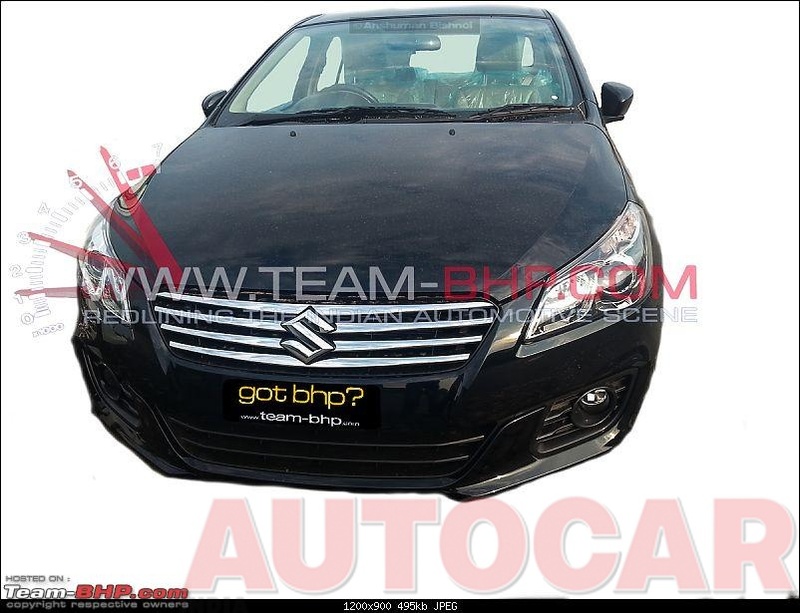 Suzukis very own A7 sportsback. Indeed an AMAZING CAR by Maruti Suzuki, already a winner. Not a top end variant though, seems to be a VXi/VDi spec variant. dr_nishu, The pics are amazing. The headlights in the scoop are curvy and in the pic posted by Sandy are straight, as in Audi. Overall, the car looks a great gift to the Indian Car Bazaar. Ya, exactly my cousin faced the same in his SX4 1.6 ZXi nearly when he clocked nearly 45k kms in it. Initially, he was planning to replace the entire steering rack, estimated at ~Rs.25k but again after next 45k kms its brake booster failed. Ultimately pushing its maintenance bills to Rs.80k-1 lacs in estimate & without bothering the latter he sold it for Rs.2.4 lacs only. 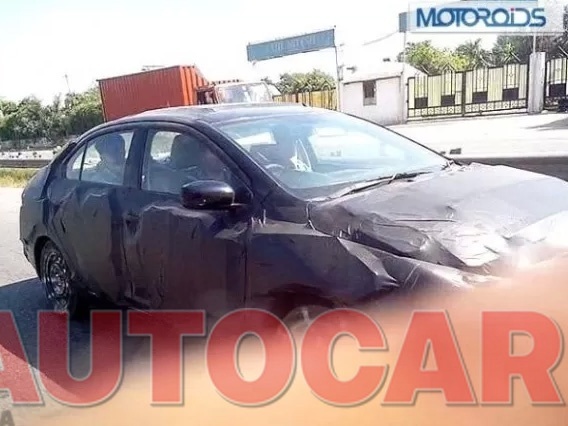 This time i hope, such problem might not appear in this new YL-1 sedan, as it's based on Ertiga, again which shares many of its components with Swift & Ritz. Looks good. Maruti musn't screw this launch with some odd "men are back" sort of stuff. 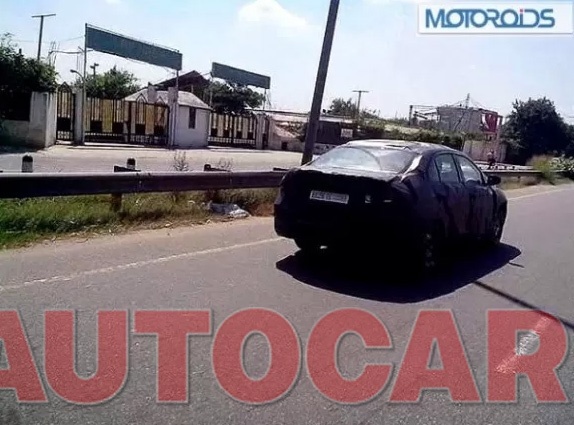 The car looks promising but Maruti should launch with a competitive price. Generally no one wants to pay a higher sticker price for a Maruti product. @dr_nishu. Nice pics! Pricing should be done well. btw interiors are awesome. How did you manage to see the interiors!! and whats wrong with the 1.3L DDiS for this light sedan? Good road presence also, as can be seen in spy shots previously. And folks, this car is 100kgs lighter than SX4 Diesel, so expect brisk & Swift-like performance from this 90PS 1.3l VGT/Super turbo Multijet powered sedan. any idea of the dimensions? is it larger than the city/verna/vento?